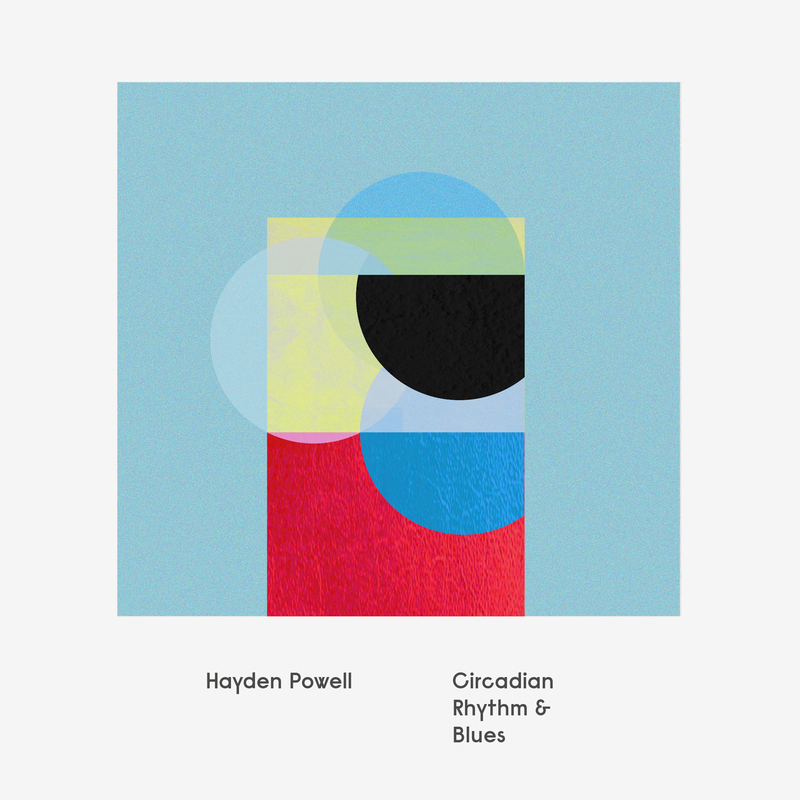 Post-easter gigging fun – Hayden Powell Trio’s April tour! There’s lots of fun stuff to look forward to after easter. Dag Magnus Narvesen’s octet DaMaNa will be playing at Victoria in Oslo on March 31st, there are gigs with Natacha Atlas in Germany and in May there’s an album release tour with Significant Time, to mention some of them. 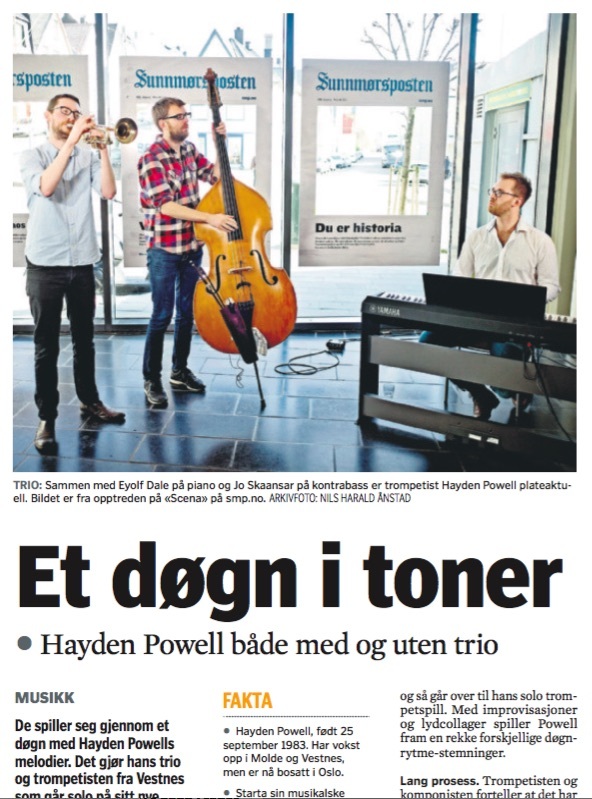 However, I’m especially looking forward to April 21-24th when Hayden Powell Trio will be gigging in Norway. I’ve had some time to practice recently and even written some new material that we’ll be performing alongside our recent album Circadian Rhythm & Blues. We really want to see you at one of our concerts, and don’t forget to prepare by checking out one of our recent recordings! Here’s a flashback from an earlier tour! Back in 2011 I played on an album by Solfrid Molland called Katedral for Tapte Drømmer (with Jo Skaansar, Pascal De Loutchek and musicians from Taraf de Haidouks . It was released on the record label Kirkelig Kulturverksted (KKV) and in the following period we played a lot of concerts around Norway with Solfrid’s band. It’s been a while since we played, but the other day Solfrid phoned me up again and a week later we were recording another album! This time around the band consists of Mats Eilertsen on bass, Torbjørn Økland on guitar and myself on trumpet, as well as Solfrid Molland herself on piano and vocals. Violinist Nils Økland will also be adding some parts. Solfrid’s put together a bunch of tunes in a familiar landscape but with some really fresh and beautiful melodies and ideas. The recording was done in Jakobskirka here in Oslo with very a relaxed and open atmosphere, we really had a lovely time and I think the music will reflect this. Erik Hillestad was the producer for this album which will also be released on KKV and the impeccable sound engineering was done by Martin Abrahamsen. Looking forward to releasing this one in a while! Looking forward to rehearsals and gigs in the UK next week with Natacha Atlas, we’ll be playing two shows at Ronnie Scott’s in London and one at Cambridge Junction. Hoping to see both new and familiar faces in the audience! We’ve had some really nice gigs with Natacha’s band lately including one in Montpellier, which gave a welcome break from the freezing temperatures here in Oslo. 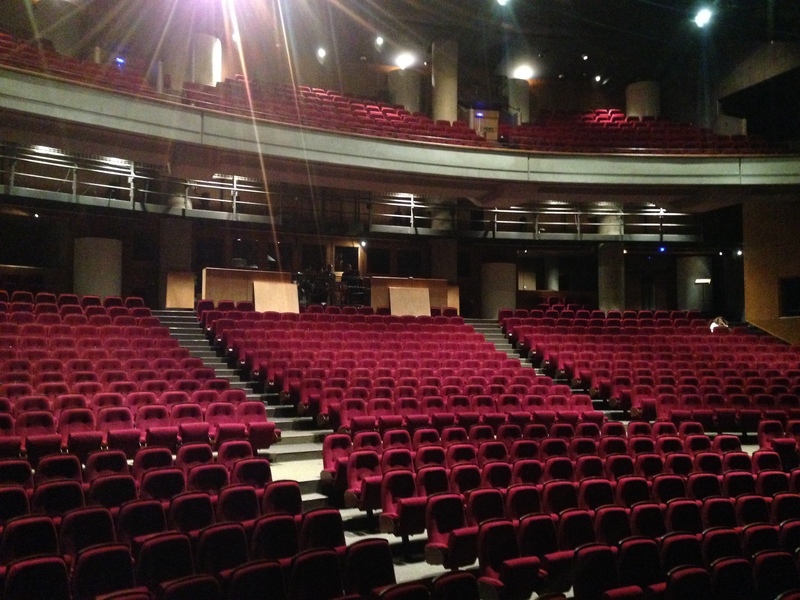 Also looking forward to the playing at the incredible Trianon in Paris on in February, featuring Ibrahim Maalouf himself. He’s such an incredible player, looking forward to meeting him! I’m getting ready for a weekend of gigs with back in my home area with nonet lead by drummer Børre Dalhaug – District 9. I’m stepping in for trumpet player Lars Petter Vågnes who couldn’t make it and am looking forward to playing with a bunch of great musicians including saxophonist Peter Wergeni and trombonist Christian Jaksjø (who is also there for the occasion). If you’re in the area, come and hear us! New website and album release from Periskop! I while back when releasing Roots & Stems, I established a label called Periskop intending to mainly release my own music. Now, I’m getting ready to release someone else’s music than my own for the first time and I couldn’t be happier that it’s an album by guitarist Juhani Silvola. The music is quite different from my own, but the guy not only has a great command of his instrument but also all other aspects of studio recording and production. This is an album that sounds fantastic! In connection with this, we’ve launched a new website – periskopmusic.com – that has lots of info on all our albums and what’s going on with the label. Juhani’s album will be out on March 4th, and if you want to be among the first to hear this great new music (and other news regarding Periskop, don’t forget to sign up for the Periskop newsletter (there’s a button on the front page). When Circadian Rhythm & Blues was released earlier this year, we decided to play our release concert in Tøyen Kirke in Oslo. This beautiful church has a great acoustic and a wonderful piano, and was a logical choice as the solo part of the album was recorded there. Now, subscribers to Tidal can see a 35-minute video of the concert, filmed and edited by Sigurd Ytre-Arne from konsertvideo.no. the video includes live versions of tunes from the album, some solo playing by yours truly and a brand new tune written by our bass played Jo Skaansar – suitably entitled “A Fresh Start”. 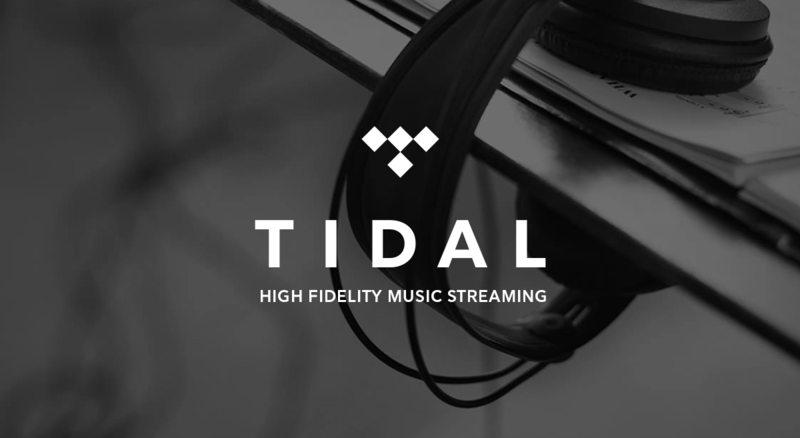 Available to all subscribers of the streaming service Tidal (also available if you subscribe to Wimp). Kristine Tjøgersen is a clarinet player who works with groups such as Ensemble Neon here in Oslo. She also makes great videos. Kristine and I share a practice space and a while ago she showed me a video she’d made for one of her projects, which inspired me to ask her to make one for me. Here’s the result, a video for my song Sleepless from my new album Circadian Rhythm & Blues. The music is maybe more abstract and drony than many of you will be used to hearing from me but I think it suits the winter season well. My producer Øyvind Gundersen had a big part in the making of the song, and is responsible for electronics, recording and mix. Enjoy! Now and then a new project turns up that is just right in every way – the people, the timing and not least the music. Eyolf’s new octet Wolf Valley is one of these and I’m really happy to be a part of it. This new band includes many of my favourite musicians and Eyolf (who also plays piano in my trio) has produced some of his most impressive writing to date. We had a couple of super-productive days in Athletic Studio this December and can’t wait to release the music. Here’s a short sneak-peek from behind the scenes. Just a little notice to let you know Circadian Rhythm & Blues will be getting some airplay on Pete Butchers’ radio show Jazz Today, this coming Sunday. Don’t forget to tune in to hear a taste of the album alongside other new releases. Another radio show that comes highly recommended is Maurice Hogue’s show One Man’s Jazz on Taintradio.org who playlisted four of our songs last week. I’m looking forward to a week of nice gigs with Natacha Atlas, please come to hear us if you’re in town! We have a day of on Friday (23/10) and guitarist Marzio Scholten has invited me to join him for an ad hoc duo performance in Amsterdam at the venue De Ruimte. We’ll be performing a mixture of my tunes and his, trying out new material for a possible future collaboration! I’m super-exciting to be joining Natacha Atlas‘s band for a string of gigs around Europe (check the list further down the page to the right). Natacha is an Egyptian/English vocalist who performs a mixture of arabic and western music. Her group is co-led by violinist Sami Bishai and includes musicians Andy Hamill (bass), Alcyona Mick (piano) and drummers Justin Woodward or Asaf Sirkis. It’s been a lot of fun getting to know these great musicians and we had our first show yesterday in Paris. Learning the music has been a real challenge for me as it includes more than a few arabic ornaments, scales and quarter tones that I’m not used to playing. Natacha’s new album is a collaboration with French/Libanese trumpeter Ibrahim Maalouf, who has really mastered these techniques. He’s busy releasing his own album these days, which has created this nice opportunity for me. 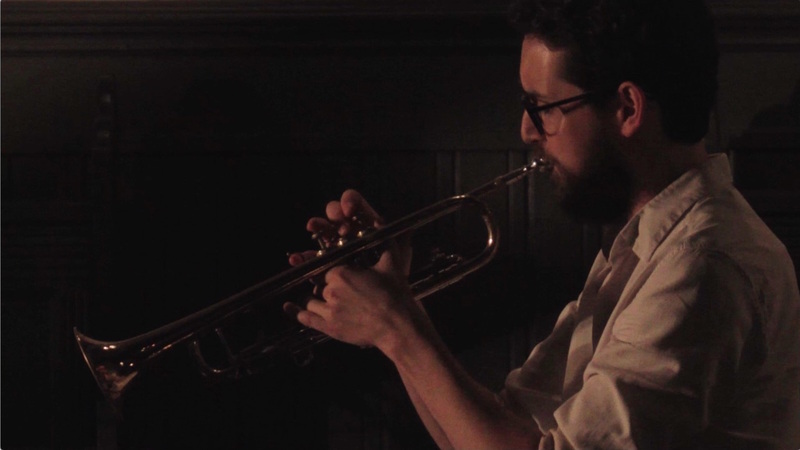 “A trumpeter in full bloom, both solo and in a trio that has deciphered the codes for responsive interaction”. There was also a very nice interview in Sunnmørsposten yesterday, written by Solfrid Vartdal. The photo is from last year when we played at Sunnmørsposten’s office, a rare instance of Eyolf playing electric piano..! Reviewer Svein Magnus Furu in Morgenbladet writes about the duality of the trumpet being both a fiery and and mellow instrument, and my journey as a musician from traditional jazz to more mainstream and experimental music. Very observant and well written – in Norwegian. The release concert for Circadian Rhythm & Blues is just round the corner. We had such a great time up in northern Norway last weekend and we just can’t wait to get going again and to play for our home audience. We’ve got a couple of extras in store: Our favourite folk duo Sarah-Jane Summers & Juhani Silvola will play some tunes to open for us , and there will also be a screening of Kristine Tjøgersen’s new music video to accompany our song Sleepless. We’ll be playing all the material from the trio part of the album and Hayden will also be playing some of his solo material. See you there!! The first reviews of Circadian Rhythm & Blues are in, here’s one from my local paper in Molde, Romsdal Budstikke. Their reviewer Petter Petterson is very enthusiastic, giving us a 5 out of 6 for the album. I especially like his football metaphor: a trio that interacts so well they could click-clack through any of eliteserien’s defenders [Norway’s Premier League]. Hooray! Our new album Circadian Rhythm & Blues is out today. 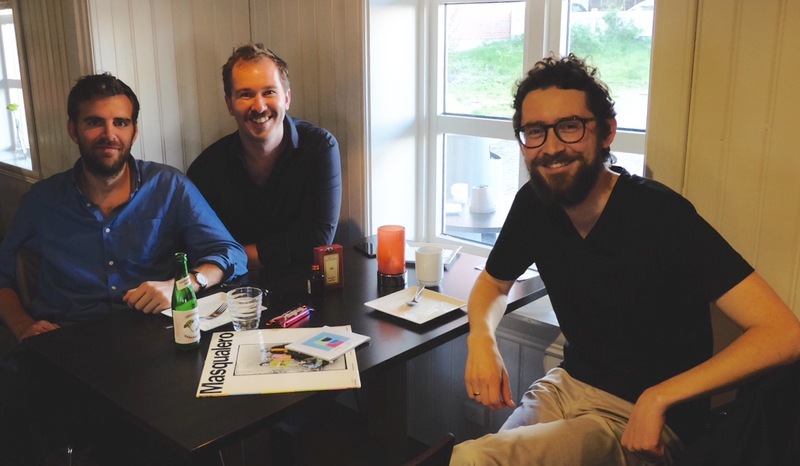 Jo, Eyolf and I are celebrating the release with coffee and birthday cake while waiting for the bus to tonight’s gig in Svolvær in northern Norway. The double album contains a trio- and a solo part, and is available for download, streaming or on cd (which I recommend for the full experience!) If you’d like a cd, send me a message here or mention it in the comments below and I’ll get in touch! August Wanngren did a brilliant job recording and mixing the trio part at The Village Studios in Copenhagen. Øyvind Røsrud Gundersen did the same work for the solo part, and also had the vital role of producer for this part of the album. He is also the brains behind the remix “Wakeup Call” (track 19). Morgan Nicolaysen at Propeller Mastering tied it all together and did the finishing touches to make the sound just perfect. Jens Jørgen Krogsveen made us yet another lovely album cover and Anne Valeur took the photos. We also have some videos by Ingo J. Biermann and Kristine Tjøgersen that are waiting to be released, looking forward to that! Thank you to Musikkoperatørene for distributing the album and being there for so many small labels such as my Periskop. Last but not least, thank you to everybody else who’s helped and supported us, not the least our families, Kristin and Åse-Lill, all the venues we played at in recent years and not the least the audiences we’ve met on our journeys! 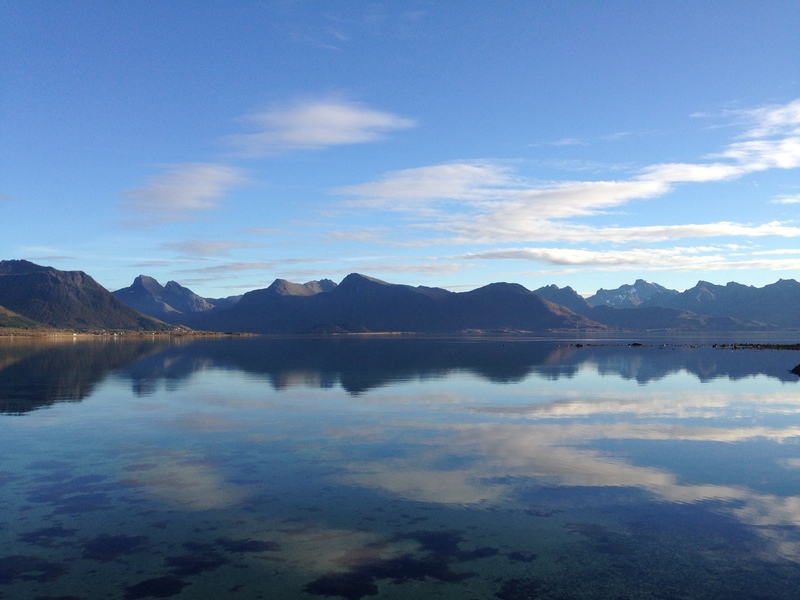 We’ve just arrived in Sortland in northern Norway, where they have a brand new venue waiting for us and some breathtaking scenery. Tonight’s gig is Sortland Jazzfestival, which marks the start of a short tour that will also pass through Svolvær and Hemnesberget. Tomorrow we’ll also be launching our brand new album Circadian Rhythm & Blues so we’re super-excited and looking forward to a great weekend! The official release date for Circadian Rhythm & Blues is still a couple of weeks off, but today I’m happy to announce it’s pre-release on Wimp/Tidal. So if you’re lucky enough to have a subscription, head over there right away give it a spin – and let me know what you think! Here’s a preview of our upcoming album, put together for us by Ingo J.Biermann. Ingo followed us on our tour of northwestern Norway last year and used some of the scenic clips from there in the video. Enjoy!